* 2. What was most challenging about the 12 month health and wellbeing plan? * 3. What changes have you noticed in your workplace while you have been Healthier Work Recognised? Ie. staff morale, sick leave levels etc. * 4. How would you rate the attitude of staff towards health and wellbeing in the workplace? * 5. How would you rate the attitude of management towards health and wellbeing in the workplace? * 6. How aware do you think staff are of strategies they can undertake in the workplace to be healthier? * 7. How would you rate the health literacy of employees in your workplace? (Please consider ability to find and understand information about health and health services in order to make good decisions). * 8. Have you observed changes in the health behaviours of your employees over the last 12 months? (Please consider smoking, drinking, physical activity, healthy eating and emotional wellbeing). * 9. How would you rate staff morale in your workplace? * 10. How would you rate the capacity of the workplace champion(s) to identify and implement health based initiatives in the workplace? * 11. How big an issue is absenteeism at your workplace? * 12. What information did you gather to measure the success of your program? * 13. What assistance could Healthier Work offer you to make your task easier? * 14. Does your workplace intend to continue participating in the Healthier Work Recognition Scheme? * 15. Describe what this information has told you: please include any metrics that you may have (for example, changes in absenteeism, changes in staff drinking/smoking, increase in productivity, other). * 16. 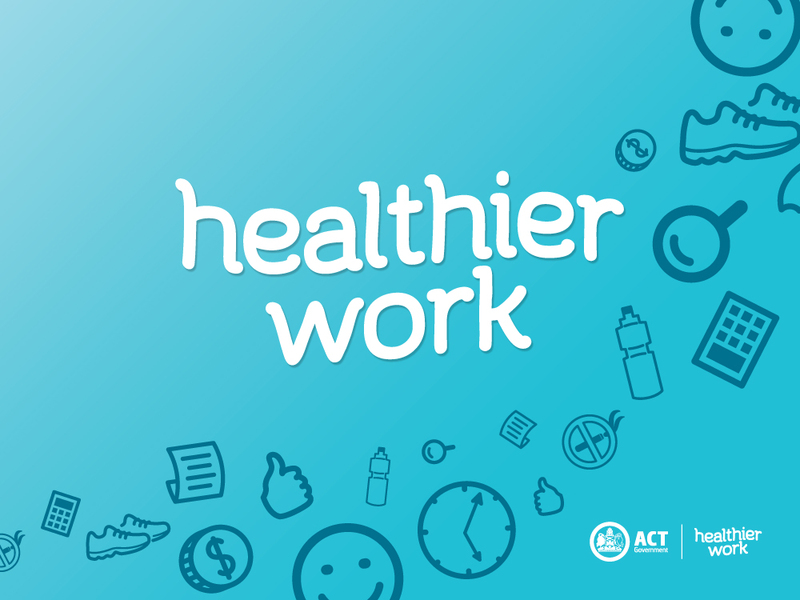 Would you be willing to share any information or data with Access Canberra to assist in the evaluation of Healthier Work? For example, changes in absenteeism, increase in productivity etc.